Knives are an essential in every homestead. Mostly when buying for domestic use, most people just buy, because it is a knife. Using knives for commercial use, however, do come with specifications because there are different types of knives for their different purposes. A good set of knives ensures efficient and reliable services for both the user and the customer. Butcher knives are mostly used by meat processing industries, but they can also be used in a normal kitchen. Butcher knives do have a hefty, wide, and curved blades. This is to provide efficiency when stripping, cutting, sectioning huge chunks of meat. Alternatively, they can also be used for cutting fruits and vegetables like onions and pineapples. Below are the best knives to use for the year 2017. A butcher knife's sole purpose is to cut, trim and section large pieces of raw meat. There are other knives designed for other chores outside the meat processing. The chef's knife is for chopping, slicing, and mincing. There is the cleaver that is used for cutting through bones and looks like an axe. The boning knife separates meat from bones. The carving knife, on the other hand, slices meat into thin cuts. Knives are made using two processes: forging and stamping. A forged knife is made of a single bar of steel that is heated and later hammered to the desired shape, by a specially trained craftsman. It is usually less flexible and keeps the edge for a long time. They also have a bolster, which is the wider lip on the end of the blade where it meets the handle. The purpose of the bolster is to balance the blade and act as a finger guard to prevent one from cutting their own fingers when using the knife. It is usually costly as compared to the stamped knife. A stamped knife is made by stamping. It is cut out from a large sheet and then horned and heated for durability. It has a flexible blade and is usually cheaper than the forged blade. You will need occasional sharpening for this knife, though. When choosing the blade material, go for a VG-10 steel. This is a high-quality standard that features an excellent edge retention. 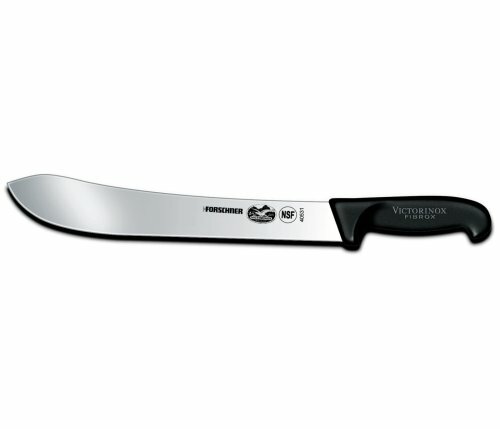 It is preferred by most chefs for its sharpness and stain proof features. For stain proof and rustproof blades, choose either a 449C or a 420HC. However, go for the 440C for a much sturdier blade. Knife handles can be wooden, stainless steel or plastic. Wood handles are usually comfortable and pretty, furthermore, are not as sturdier as the rest. Sadly, they are prone to bacteria and may not be recommended by health inspectors. The stainless steel handle is easy to clasp, sturdy and better balanced. Contrastingly, it does not offer a good grip and might slide off your hands when wet. The plastic handle is the most preferred these days. They are lightweight, easy to clean and very comfortable. They may, however, break easily under extreme temperatures or after a few months of use. Comfortable - A good knife should be able to use without much force. This means that the blade and handle should be better balanced; preferably, one with a bolster design. It should also be comfortable in terms of a proper grip for easy control. Slip and rust resistance - Choose a knife that, when using, fingers do not slip across the blade. Slip-resistant handles are usually made from plastic, fibrox and proflex. Your blade should also be rust resistant. To ensure this, look for high carbon steel blades. High edge retention - This is how long a knife can remain sharp irrespective of constant, long-term use. High carbon steel has an edge retention for a long time. Sometimes, flexible and high wear-resistant blades do retain sharpness for much long. Hard and versatile - A hard knife is termed as a good knife, but choose one that is slightly flexible. This is efficient, especially in trimming meat off a bone. Flexibility also ensures that the blade does not break easily or chip. However, an overly flexible blade might easily cause accidents. A butcher knife should not only cut meat but also be able to cut vegetables as well. Multifunction enhances versatility. Since you are going to use it to carve huge chunks of meat like that of the turkey, you will require a kind of knife that will be able to cut thin slices from big cuts. Butcher knives do a pretty good job when it comes to slicing, unlike shorter knives. Butcher knives are always sharper than the usual kitchen knives. This means that when you are slicing through that wide cut of meat, you are going to exert less energy. Butcher knives are safer to use. It sounds ironic since it's pretty obvious that they are sharp. They are safe in the sense that, you can predict the motion in which it cuts through the meat and it has a higher grip on the meat that it won't slide away cutting through your fingers. Made of high quality and craftsmanship, this knife has a 10-inch blade. It has a wooden handle and a hollow ground edge. The blade is made of carbon steel (1095 high). It is tempered and created to keep it sharp for long. 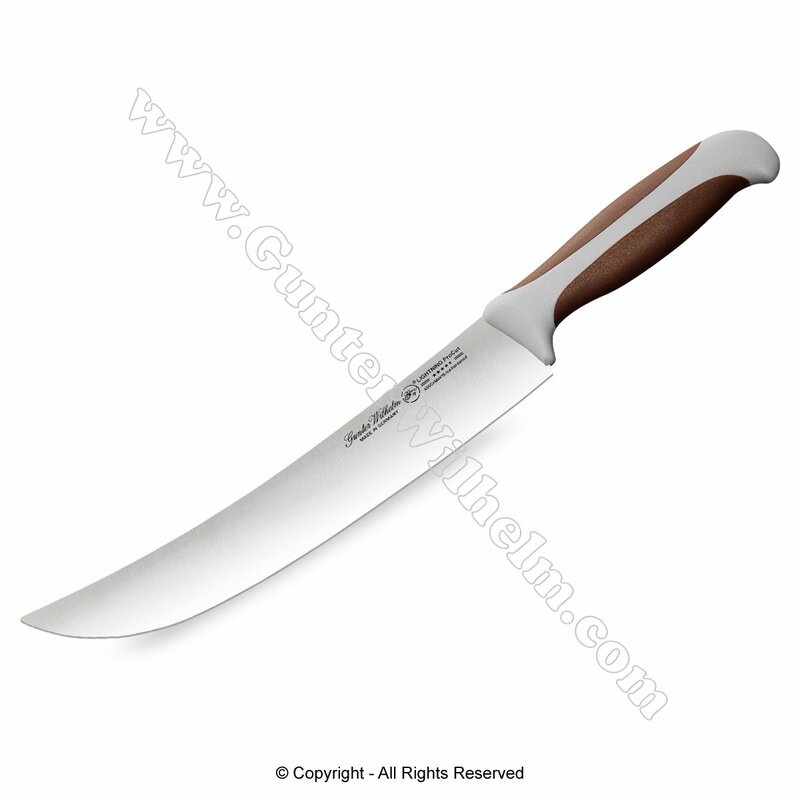 It is used by most professional chefs and butchers because of its high quality. The wooden handle is a genuine hickory, flame burnt and polished for a distinct wooden finish. 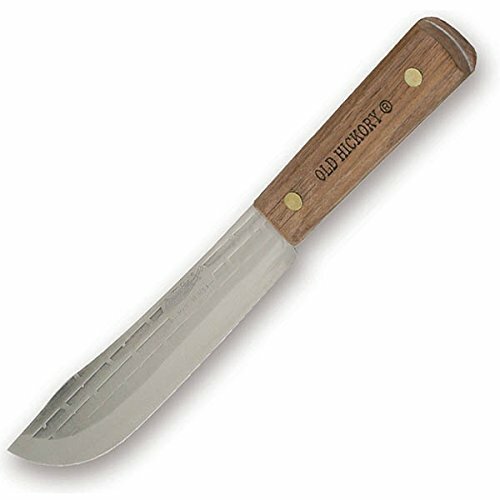 A stamped knife that is a great essential for commercial purposes, and homesteads that deal with huge chunks of meat. It is a great knife for managing big chunks of meat into nice smooth streaks. This super knife can also be used to cut a chicken in half in one slice. Not just that, it is the best in slicing meat into super thin slices. Made of high carbon stainless steel blade, retains a well-sharpened edge for long. The blade has also been ice tempered for a better edge retention. The handle is made from patented fibrox making it slip resistant. The handle's ergonomic design ensures that there are a good balance and a great feel. Made of 1095 carbon steel, the forged knife has a razor-like the sharp cutting edge that is easily sharpened when needed. The handle is made of hardwood and fitted with brass compression rivets. The 7-inch knife is carded. Versatile- can be used for bushcraft work, fishing, and BBQs. 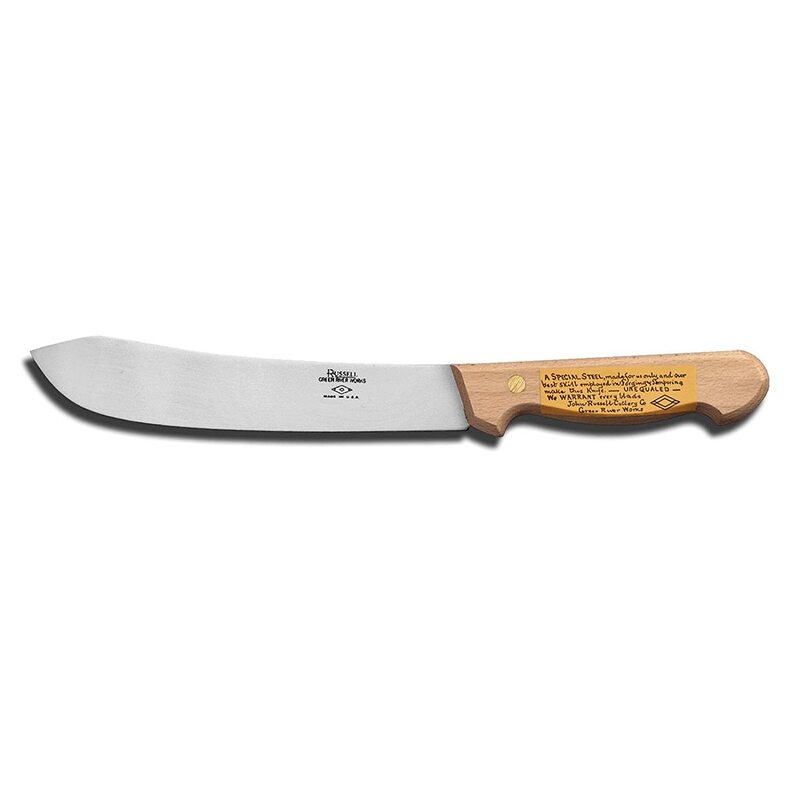 Having a classic shape, this knife can perform a number of tasks, not only for the butcher but also domestic uses. It is ideal for slicing, chopping, dicing, mincing and disjointing. The upward curve of the blade tip makes chopping, even more, fun. The shape of the blade is good for slicing the blade is prone to rust. The handle is little rough for some people. It will need a little sanding. No warranty is given for this item. This knife comes with an antibacterial material. This classic shaped handled knife has an inner full tang. The blade has been manufactured by treating it with optimum heat, and thereafter hardened with ice. The blade material is a premium high carbon V50CrMoV15 German steel. Gunter Wilhelm blade widths are wider, increasing the knuckle clearance giving enough space between your knuckles and the sharp blade. Not widely used thus lacking reviews. It is difficult to choose a favorite especially when the products are closely matched at features and prices. Although this one might be too big for small domestic purses, the Victorinox Cutlery 12-Inch Straight Butcher Knife is best for commercial use. I would highly recommend this, but not for domestic use since the blade is too big. 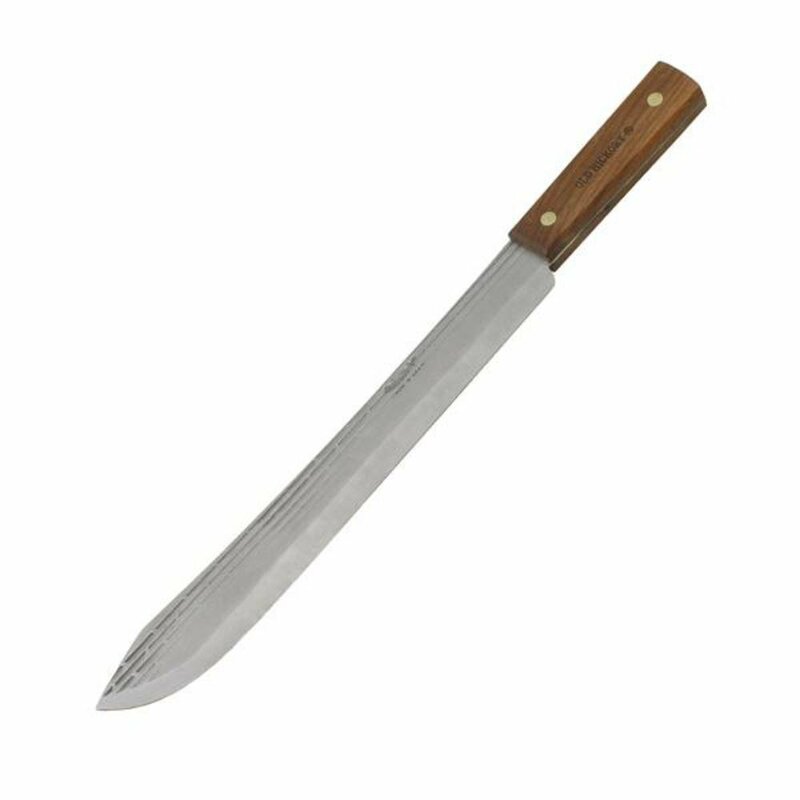 For an all-purpose butcher knife, the Ontario 10-Inch 7111 Old Hickory Butcher Knife would be the best pick. Aside from its versatility, the blade is of perfect length. The only problem is the wooden handle, that can, however, be handled. A clear coating can be applied from time to time to prevent bacteria.